Thank you for the wealth of information and encouragement you offer here! Over the past five weeks and counting since I injured my foot, yours has been the blog I return to in my search for answers and hope that I can get back to my regular daily activities. Above any other online source, your blog has helped me maintain a sense of optimism and the feeling that I’m not alone in managing a catastrophic injury of my foot without the diagnostic team of doctors and physical therapists of a pro athlete. I am an artist and until five weeks ago I stood at my easel to paint. I had no idea how much I moved while I work, stepping back and forward and moving around my studio, but I realize now that my job is a physically demanding one, and I need to be on my feet. I’m also general factotum around here and my husband has graciously picked up all the slack, but this scenario can’t hold forever. I am a healthy, slim, reasonably fit, mid-forties woman with no underlying health conditions. I eat a primal plus dairy kind of diet with plenty of protein and fish and I supplement with vitamin D and vitamin C. I’m on no prescription medicines. I usually recover from injury very quickly and this has me stymied and frustrated. I’ve tried to condense my saga to main points, but it’s still a long story. I was running to answer my front door in sock feet when I tripped over my heavy tripod in its case on the floor in the front hall. In the moment, my foot caught on the tripod and I hyperflexed my left big toe in particular, but also the second third and fourth toes. I recovered somewhat and finished this awkward movement on the ball of my foot. I knew then that I’d done something not good, but I shoved my foot in a winter boot and ran some errands (driving my manual transmission car with newly injured clutch foot) before returning home and taking a look at my now incredibly swollen and painfully bruised foot. Initial symptoms: blue-black bruising on top of foot at bases and top surfaces of my three middle toes and dorsal side of great toe (which appeared somewhat flattened across the top—my other big toe curves up somewhat jauntily at the final joint). Black blue bruising on the ball of my foot under the MTP joint. Extensive swelling, especially of big toe and ball of foot under big toe and at bases of middle toes. Pain, inability to bear weight on ball of foot—partly from swelling, partly from pain. The most alarming swelling was the thickness of MTP joint preventing me from getting my foot into even the roomiest of my shoes. Over the next few days I applied RICE—post-op shoe, compression with tensor bandages, elevation, and ice (applied as gel pack) as much as possible I hobbled about with my weight on the outside of my left foot and a cane. I thought this was a minor injury and that I would recover quickly. I made several ill-advised trips in the car of over an hour wearing winter boots during this period. Two weeks later, with minimal improvement other than a lessening of the bruising and a small diminishment of swelling, I went to my family physician who looked at my foot, without physically manipulating it, and told me to keep doing what I was doing, sent me for an x-ray to rule out a fracture, and assured me that sprains often take several weeks to resolve. She mentioned an Aircast in passing—in the event that something was broken and I found and purchased one the next day. I began your contrast bathing protocol (keeping the contrast a little less contrast-y since I suffer occasional episodes of Raynauds). I learned spica taping to immobilize my big toe—especially at night, I ordered insoles, dancer’s pads, podiatry felt, etc. and concocted a way to offload the swollen ball of my foot (suspecting some involvement of the sesamoids) and offloading the metatarsals. It’s been quite an art to get things right, but I can be largely painfree in the boot for about an hour on my feet, after that things get very twingey as the swelling really sets in. All this time I’d been weight bearing in the boot, climbing the stairs multiple times per day in my big old house with studio on the third floor, but using a cane when necessary. I tried range of motion exercises especially in the warm water. I attempted some of your rehabilitation foot exercises, but quickly realized I was not at that stage yet. Otherwise I kept my foot elevated while sitting and sleeping. The swelling is still alarming—even first thing in the morning. Bruising remains under my foot and on my toes. After the fourth week of little improvement I returned to my family doctor who, not at all happy with the lack of progress or the swelling, referred me to a sports medicine doctor. I visited the sports medicine doctor just after the five week mark. He and his young resident doctor took a very thorough history and physically examined my foot—pressing on all of my bones to rule out breaks and manipulating my foot and toes, and asking me to move my toes freely and against resistance. The greatest pain was on tops and side of my big toe-especially the outside tip of my big toe and underneath the MTP joint. 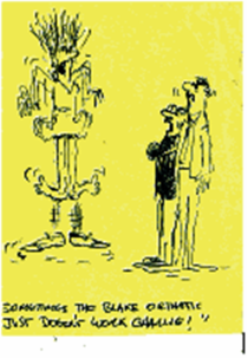 I couldn’t curl my toes at the final joint—neither my big toe, nor my second toe. I can flex and extend my big toe slightly, but it’s very stiff and causes a little pain. If I step down hard on the ball of my foot I feel a radiating tingly twinge of pain like an elbow pain. The two doctors examined the initial x-rays and thought they saw a fracture across the joint of my big toe that might account for the lingering swelling and inability to move my toes. They sent me for more x-rays at a different lab again both the new doc and the radiologist ruled out a fracture (sesamoids looked fine). I spoke to the new doctor over the phone and he’s booked me for an ultrasound in about two weeks and an MRI in about four weeks. In the meantime, he’s asked me to stay in the boot for another two weeks, wearing a tensor bandage and or tape at night and continue with the icing. My MTP joint looks huge compared to my other foot. My foot swells alarmingly after standing for any period. After showering, I have one purple, puffy foot and one normal, bony pink foot. I wear Crocs flip flops in the shower and still can’t direct any weight to my big toe joint. The rest of the time, except while sleeping or sitting with foot elevated, I’m in the boot. Even after contrast bathing, elevation and gentle ankle motions to try to get rid of the swelling, my toes and foot become swollen, and skin shiny with pressure when I put my foot down again. I have residual bruising underfoot and across my toes As I write this, I am in a graduated toeless thigh-high compression stocking with my foot slightly elevated, boot off, but the opening seems to hit my big toe at a vulnerable spot, so I’m not sure I’ll continue wearing it. I am going to try 2.3% Voltaren on the most swollen areas of my foot and toe. I’ve ordered a pair of Crocs clogs which should have a toe box deep enough to accommodate my giant toe joint when I transition out of the boot. Other shoe choices will have to wait until I can get out and about. We’re in a deep freeze with a mountain of snow and walking is not good even for the able bodied. After all of this, can you give me any additional advice, hope, or questions to ask my sports medicine doctor when I return? I’ve read your good/bad pain article but remain confused about whether I risk re-injury with range of motion and strengthening exercises. Should I be attempting toe curls with so little movement possible, or could I make a tear in the ligament/tendon worse? Can I try standing on one foot while in the boot or is that counterproductive? Is swelling and bruising at this stage, so long after the initial injury a normal effect of injury? I will try anything, ask anything, pursue any course to get better. I’d appreciate any advice or remarks you can offer. History: Several years ago, I had a mild case of classic turf toe after hyperextending the same great toe while gardening on soft soil and feeling as though I was walking on a bunched up sock under my toe. I recovered completely with RICE and buddy taping after about two weeks. In the intervening time I’ve suffered no residual effects until now. Foot architecture: I have a high arch and a long first metatarsal with Egyptian foot shape. Thank you again for the excellent resource of your blog. Silvia, thank you so very much for the email, and sorry it took me a long time to answer. You have the classic symptoms of Stage 3 Turf Toe, with complete rupture of one of the main ligaments in your big toe joint (which gives you the constant thickness of the big toe joint, and unending swelling and bruising. The bruising is from repeated partial healing, and then re-tearing of the delicate ligaments). I am glad the x rays are fine, although the MRI may show some bone issues. Can you speed up the MRI so the soft tissue diagnosis can be made sooner? When the tear starts to heal, the tear begins to slowly not look like a tear, only scarring/fibrosis, and the MRI can be read incorrectly. Daily I would wear the boot and spica tape. In the evening, take the tape off so you can freely contrast and massage. The massage is very important to decrease the nerve hypersensitivity which can have a mind of its own. You should be able to have your dancer's padding inside the boot (sorry the image is so blurry). PS I am closing with my Top 10 for Hallux Rigidus, which seem to apply other then exercise that move the joint. Create a pain free (0-2 pain level) environment with some form of immobilization and/or protected weight bearing. 3 times daily use topical anti-inflammatory measures with icing twice and one session of contrast baths (you don’t have to tell anyone about your rubber ducky in in the bath!!). Learn how to spica tape the big toe joint for times you want to immobilize (see my video at YouTube entitled drblakeshealingsole Spica Taping). Learn how to make dancer’s pads for any shoe or boot to off weight the big toe joint. One eighth inch adhesive felt can be purchased from www.mooremedical.com for this purpose. Learn if arch supports are necessary to transfer weight to the arch and middle of your foot. You can try the Red Sole inserts sold online or at stores like REI. See if you can get xrays and an MRI to look at the health of the joint internally. Purchase a carbon graphite plate that can be used in some shoes under the insert to limit the joint motion for some activities. If you were started in a boot to obtain a pain free environment, purchase an Evenup to keep the spine level and avoid back issues. From the day you begin treatment, begin strengthening your feet, and lower extremities. Avoid pain, but this approach will lessen the deconditioning. This can be mean a lot of core work, some cardio on stationary bikes, and specific foot exercises approved by the health care provider (as long as they do not hurt is the general rule). Use adhesive felt on the top of the foot (typically 2 layers of 1/8th inch or just ¼ inch) from www.mooremedical.com next to the bump at the top of the big toe joint, but not over, in any shoe that it helps take pressure off. My MRI will probably arrive in your mailbox this week. But meanwhile, I have great news. While the MRI has been making its way to you, a random conversation at our local woodworking club (which for some reason attracts many surgeons--they especially like bowl turning on the lathe) led to an appointment with a wonderful, but very busy, foot and ankle orthopedic surgeon, much beloved by patients in our region. He takes the patients other surgeons abandon, saves limbs and gets people back on their feet. I just got back from my appointment with him at our local fracture clinic where he examined my foot (stealthily while making conversation) finding good movement in my joints (which I hadn't moved in weeks! ), and said much the same thing that you've been saying all along: get the foot moving again! He said (as you did) that the blood pooling, residual swelling, pain and stiffness are largely a result of non-weight bearing and immobilization. He also said that too many patients are referred on the basis of x-rays. He said "treat the patient, not the x-ray" and said the only time he would consider fusing a joint is if there was a considerable lack of function. He said even a poorly healed or even non-union fracture of the the small bones of the foot can often pose no significant problem for the patient even when they appear "like corn flakes on the x-ray". Anyway, all this is to say that he advised me to start remobilizing right away (contrary to the advice of my sports medicine doctor who had asked me to remain non-weight bearing for three more weeks). The surgeon said prolonging immobilization can cause weakness leading to secondary injuries. I'm very eager to start rebuilding my leg muscles and foot strength and reclaiming my life. I sincerely like my sports medicine doctor, but don't know why his advice was so different from yours and the surgeon's. It's hard to contradict a doctor's advice as a layperson. I wish I hadn't remained non-weight bearing for so long out of fear of delaying the fracture healing. In any case, I'm looking forward with optimism. I just purchased a pair of Wolky sandals, a new brand to me. The model called Jewel has three adjustable velcro straps (which is wonderful for someone with a very high arch like me), a fairly rigid sole with rocker front, and a removable cork foot bed into which I've put my own cobbled- together foot bed with strategic offloading padding. They are far more attractive than typical orthopedic shoes and your other patients might find them very helpful: http://wolky.com/shoes/jewel/. It feels wonderful to be transitioning to real shoes again. I believe I will be walking without pain or crutches very soon! Thank you again for your support and very good advice. Please feel free to use my case for your blog if you think any part of it will be helpful for others. Your blog was such a great source of sensible, straightforward practical advice during dark days when was very easy to fall into worst case scenario speculation. Thanks Dr. Blake! 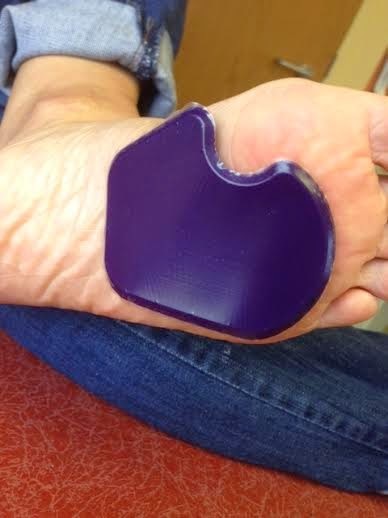 One of my sesamoid suffering patients brought Dr Jill's Dancers Pad to my attention. She loves it since it sticks comfortably to the foot and so she can wear in shoes/situations that may not work well with orthotic devices. This is my answers to a student studying the treatment of sesamoid fractures with my comments in red. 1. Which method would you recommend for the rehabilitation of the sesamoid bone in the foot? I prefer to treatment conservatively with a removable boot for awhile, then orthotics that can off weight the area. The only other method would be surgery, which may be unnecessary, and I think the last resort. Lack of response to treatment, coupled with MRIs showing bone fragmentation will sway me towards surgery. Any treatment done, if surgery is eventually needed, will help greatly in the rehabilitation (like designing a good off weighting orthotic device). My personality which is conservative, and seeing patients still having bothers after surgery sometimes, knowing that surgery is not always the perfect fix. Any treatment should get the patient to no disability, and conservative treatment can do that the majority of time. 3. Which method would you say is the worst? Why? Neither, because both have their pros and cons. The surgical treatment for a broken sesamoid is technically easy, and gets patients back on the road quicker than stubborn cases of conservative treatment. The con of surgery is that you are potentially removing a vital bone, and surgical complications can lead to some permanent problem. Conservative treatment avoids bone removal (leaving your anatomy intact) and avoids surgical complications. However, conservative therapy may take up to 2 years to complete (generally 6-9 months is normal), which would be difficult in a highly functional athlete, with no complete guarantee that it will not, in the end, require surgery. 4. What is the most common way of injuring the sesamoid bone in the foot? 5. Have you ever heard of someone getting arthritis in their big toe from a certain treatment? The sesamoid is bottom part of the big toe joint. If the bone is fractured and irregular is can start arthritis forming on the under surface of the first metatarsal. When I x-ray and MRI or CT, I am always checking for signs of that. 6. If you had to put your patient in orthotic devices, would it be a Morton's extension or a Dancer's pad (apologies if my terminology is off, while researching I realized some doctor's use different names)? Enough arch support or varus wedging to shift the weight back into the arch and over to the 2nd and 3rd metatarsals as you move through your foot. Metatarsal arch support to shift weight laterally (towards the outside of the foot). Dancer's pads (aka Reverse Mortons) to shift the weight laterally as the weight goes onto the metatarsals at pushoff. Stiff forefoot area to minimize bend if needed (at least a design that does not encourage excessive big toe joint motion). 7. What sort of side-effects could occur if one was to perform surgery to remove the bone(s)? I find that the crucial question is why did the patient get this in the first place. If the surgery does not correct that, and most of the time it can not, then removing the sesamoid puts the other at more risk. Losing one sesamoid is not the perfect scenario, but you are still highly functional. If you lost both sesamoids, you have not protection for the first metatarsal head. Removing the medial sesamoid does make you more at risk for bunions, but if you start wearing toe separators and yoga toes, and start doing abductor hallucis strengthening, you can minimize that. Typically when you injure something, there is an obvious cause, and several still important less obvious causes. After surgery, you have to know what the causes were and prevent them in the future. I find this area is addressed the best while the doctors are trying to avoid surgery in the first place, learning why it happened helps with designing treatments. Only some of the causes are: poor running or walking styles, poor shoe selection, inadequate fat pad, high arches, plantar prominent first metatarsals, training techniques, improper cleat placements, poor bone health, transient Vit D or Calcium inadequate intake, over pronation, stiff foot that does not adapt to ground, etc. I am sure I have left out quite a few. 8. It was brought to my attention that some people are born with their sesamoid already in two pieces, do they experience the same problems of someone who has broken their sesamoid experiences? I have recommended Hoka One One Running Shoes for great shock absorption for walking and running. They are stable, take a little time to get used to, but can minimize the impact shock that can destroy knees. For those long distance runners with Hoka One One and Hannaford Orthotics (previously prescribed) their impact shock is almost nada, nilch, zero, zip!! Yes, we are talking about another version of runner's high. Develop an appropriate stretch that you can do to reduce the pain, then do that stretch 5 times daily. Go to Youtube and type drblakeshealingsole iliotibial band stretches. This is a yoga version of Iliotibial band stretching to stretch the lateral side of the hip and knee. It can be done also standing upright and also leaning against a wall. This version of iliotibial band stretching can be done laying all the way done and then draping your leg over the other with a gentle pull from your opposite hand. Gradually strengthen the hip abductors with limited range of motion. I prefer theraband progressive resistive exercises. Keep your knee straight as you do them. Whether you are doing these standing or side lying, and especially if you add resistance, please you limited motion (max 3 inches away from other heel, starting 1-2 inches in front of and across the other foot). Too far away from mid line irritates the hip and is not in the functional range we need. Here with the resistance bands you walk slowly sideways in one direction, then the other, building up time. I would use a longer theraband so you did not have to have your knees so bent. 3. Ice pack for 10-15 minutes or ice massage 5 minutes 3 times daily. 4. Use activity modification, typically you can run until you get initial symptoms, stop stretch walk several minutes, and begin running again. Repeat as needed with 20 minute ice pack afterwards. 5. Physical therapy to stretch, decrease inflammation, strengthen, and look for biomechanical faults. 6. Correct any biomechanical faults that may be causing like over pronation, over supination, or short leg syndrome. 7. If symptoms are mainly at the tibial attachment at Gerdy’s Tubercle, get a baseline x ray. 8. If symptoms do not respond at the hip greater trochanter, consider a cortisone injection for trochanteric bursitis. 9. Massage, either professionally or self, should be limited to the area above the knee and below the hip to avoid the bony prominences. This includes when you stretch/massage with the ethafoam roller. 10. Taping of the leg has begun to prove helpful at times. Not this type of taping!! 11. Like any tendinitis, BRISS is initiated. But, if symptoms linger, you have to think deeper, and consider xrays, nerve testing, MRIs, etc. Calming down the nervous system is a great chore. This article discusses the possible benefits of Cognitive Behavioral Therapy. Probably the most common knee complaint that a podiatrist will be called into treatment involves the kneecap. With that much knee pain, you are really in the immobilization/anti-inflammatory phase. Orthotics would be part of a restrengthening/return to activity phase. The immobilization is anything that creates a pain free environment, from braces, to shoes, to activity changes, and yes, to orthotics if that is what it takes. I would tend to have a PT cool your knee down first, and then add orthotics when you are ready to increase your activity again. Orthotics can play a role when you are throwing everything into the treatment arena but the kitchen sink (an approach used with unlimited funding). Definitely, cool the knee down with PT and Icing. The icing for the knee must be 30 minutes 3 times a day. Yes, 30 minutes is normally needed to get deep into the knee. Try to stay away from anti-inflam meds since they can slow bone healing. Get an MRI, around $500 self pay, if your symptoms plateau (look at it one month at a time). Try to create a pain free environment over the next month, which may mean staying in your most stable shoes. You can also try Sole over the counter Arch Supports (get one of the soft athletic versions). These are easy to adjust. You have already established a relationship between your feet and knees, but see if you can get them calmed down, less fragile, over the next several months. Create a pain free environment. McConnell knee taping with Leukotape and underwrap or KT taping. Core Strengthening for external hip rotators, including gluts, iliopsoas and piriformis muscles. OTC or Custom inserts to stabilize any overpronation tendencies, or just varus cant. Goal is to get the knee to function in the center and not internally rotated. Use activity modification to get cardio without irritating the knee. Consider raising the seat in cycling to prevent too much flexion (over 45 degrees the patella starts pushing hard on the femur). If it is a running injury, shoes are crucial for stability. Have a good running shoe store help you pick out a great stability or motion control shoe for you. Your shoe selection should help avoid the heel valgus seen here where the heel rotates outward driving the knee inward too far. I just watched your YouTube video on power lacing and I was wondering why you need to skip the 3rd hole? Is that necessary? It looks really strange on my shoes because the 3rd hole is actually an extra strip of material, so the strip sticks out when not laced. Anyways - thanks for your time! I appreciate it!